Thinking about buying that cheap kayak from Walmart? It might be a bad choice. Before we get into the technical aspects of it you need to know a couple of things. #1 I’ve been on a budget. I spent $200 on my first kayak more than 15 years ago. It did what I needed it to by getting me off the bank. #2 This article isn’t meant to disparage any person with a lower budget. It is merely to educate on all the options and let you make an informed decision rather than just hoping for the best. I’m happy to share water with anyone in any watercraft, I just want you to be pleased with spending your hard earned money on whatever you choose because kayaks are RARELY returnable. OK, now that I have that behind us, back to kayaks. To help this be a little less science lab and more relatable, I’m going to use some analogies. Most kayaks now are made from the same basic material: polyethylene. Not all polyethylene is created equal. Think of it like whiskey. In whiskey you have fermented grains, water, add some heat and then age it before bottling. While it seems like it should all be the same, it isn’t. Sometimes stainless stills are used instead of copper. Sometimes it is aged in White Oak barrels, sometimes they don’t even use oak. You will even have a variance in the age which completely changes the flavor profiles. The better the equipment used to make the whiskey, and the more time that goes into the development of the flavor, typically the better the whiskey. The consumers will have a wide range of expectations. The more expensive the beverage, the more exceptional the expectations placed upon it. Some of the consumers will be ok with a liter of Paddy’s Apple Whiskey for $7. Some of the consumers will want a liter of Prometheus 26 year single malt which costs about $1300. It all depends on what you’re looking for and your budget. Kayaks aren’t that different. They mostly use polyethylene, even in those cheap kayaks. The quality of the base materials, the supplies used to make it and even the process and time to do so effect the end product’s quality. 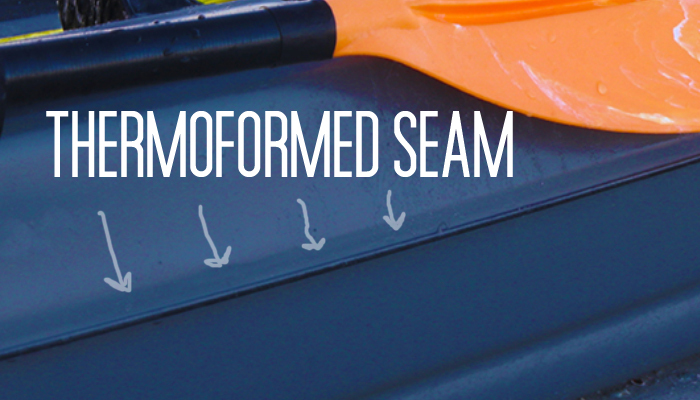 A big tell of a cheap kayak is a seam that runs all the way around the kayaks. That seam indicates that the kayak was thermoformed, one of the cheapest ways to make a kayak. Thermoforming can be a little difficult to explain so I’ll try another analogy. Think of the top of the kayak and the bottom of the kayak like two slices of bread that are joined together by cheese in a hot pan to make a grilled cheese. Each home cook has their own spin using different cheeses just like kayak manufacturers have proprietary polyethylene mixes. Each of these has different properties. Some are stronger, some more shiny, others made to be more easily extruded. In the thermoform process, the makeup of these plastics and the number of sheets that are added to make it more durable are important. To cut corners, many times companies use recycled or less than ideal polyethylene. That seam in that cheaper kayak, it may be a potential fail point. Heat, UV, wear and tear can all be factors wearing on that seam. Punctured hulls are also a concern. If you are going to fish in a lot of timber or rivers with rocks, high quality is better to avoid failure. If you want to read more about thermoforming kayaks, click here. So how can a consumer choose a better-built kayak without asking tons of questions and having a minor in plastics manufacturing? The first thing to look for is rotomolded kayaks. These kayaks will not have a joining seam where the top and bottom were pressed together. 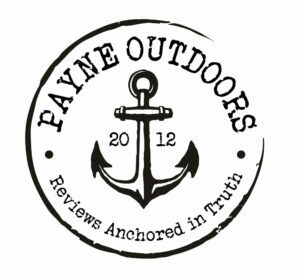 Another thing that I prefer is American made and manufactured kayak hulls. It’s hard to avoid some little screw cap or plug being manufactured overseas in most cases so start with hulls. Lots of reputable brands are made here in the US. I often hear the argument that all Made in the USA kayaks are super expensive. That’s actually a myth. 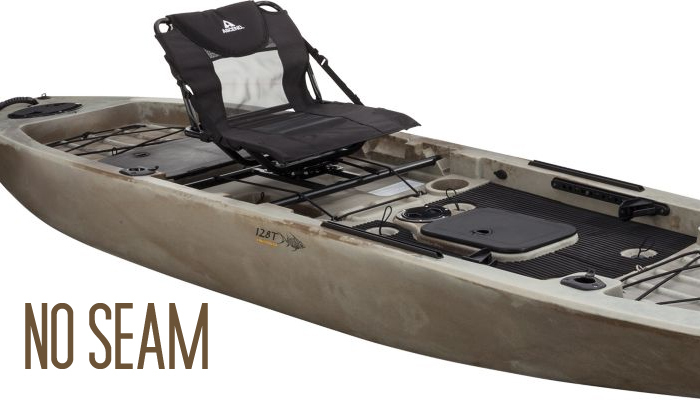 The Ascend brand kayaks that Bass Pro Shops carries are made in Lebanon, Missouri. Their kayaks start under $400. Another company, Crescent Kayaks, makes their boats in Georgia and will be offering a fishing platform starting under $800 in the next month or so. Lots of others in higher price ranges are made in the States. Almost all of those USA made kayaks are available for demos too. If at all possible demo a kayak before buying. As the features go up, so does the price. 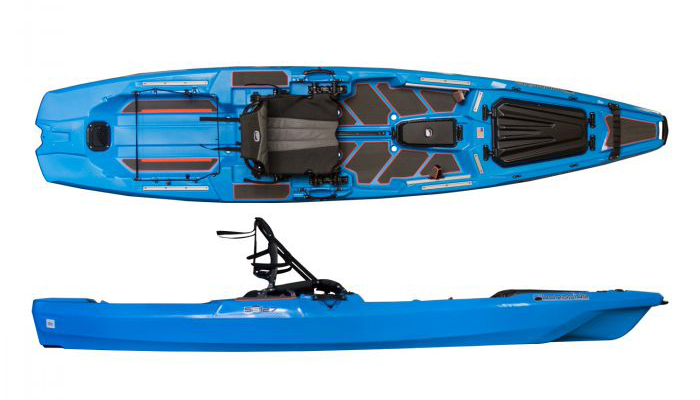 Kayaks will continue to evolve on both sides of the price spectrum and as they do, it’s more important than ever to not be distracted by a flashy accessory and know what hull you are buying. Too many folks start with included accessories and features without looking at the hull. Am I saying all cheap kayaks are bad? Well, no, but as I age, I appreciate spending a little more to have higher satisfaction with spending that money. When I was in my twenties, cheap whiskey got the job done. So did that $200 kayak. In my forties, I need a little better in my life. A sipping drink that is smooth, and only having one is a much more comfortable, enjoyable experience than slamming a liter of $7 plastic bottle whiskey. A good comfortable seat in a kayak hull that I don’t have to worry about failures has become more important as well. 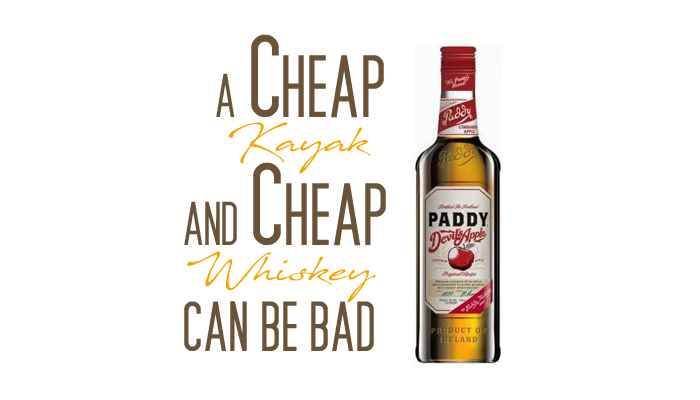 It’s not that I am a kayak snob, I just prefer Bonafide Whiskey over ImportFeelings Whiskey. I feel a lot better the next day too. That fine sippin’ Bonafide Whiskey. Drink it in. So if one only has let’s say around 300.00 to buy her 1st kayak, what would recommend? I will be using it just for paddleing in rivers and lakes. I completely understand the importance of buying a kayak with dependability. I have learned through my years that most the time you get what you pay for. Being on the low end of income I have often had to settle for cheap whisky, but strive for the more expensive. Good way to put it, thank you!